Getting to know Sean Doersam. Local native to southern California, born and raised in Dana Point, Ca. My real estate journey began on the investment side of the business. As a liaison, I learned to acquire and distribute property to investors all over Southern California. I specialized in providing helpful, creative solutions to challenged homeowners and distressed properties in low to high-end communities. Inside those experiences, I advanced my resolute ability to solve people’s challenges by adding high levels of value to a homeowner’s personal and financial wellbeing, despite their circumstances and life situations. I play an important role in my clients' lives, producing unparalleled business relationships and enduring friendships. My negotiating talent and people skills quickly created the next opportunity for the seamless transition into the realtor world. I became a full-service real estate consultant, allowing me access to high-end buyers, sellers, entrepreneurs, professionals, and clients with small family homes or short sale needs. I strongly believe in an aggressive strategy and pursuing every new technique without losing sight of fundamental, time-tested techniques. My uncompromising professionalism and relentless drive has allowed for continual achievement of client’s goals and expectations, therefore, creating an effortless, yet effective operation for all my clients. What Sean's Clients are Saying. Sean was an incredible realtor for me, he helped me with everything I needed. He spent hours driving around with me to find the perfect place to fill all my needs. I run a business and time was crunched, and he helped ease all my stress. He was attentive, kind, and sincere. He sat with me and helped me make pros and cons, and he even drove with me to the areas at night, to see what the area was like, and if it was safe. I cannot stress enough how incredible Sean is. 10/10. Sean was an absolutely pleasure to work with. He is very professional, attentive to detail and very easy to work with. 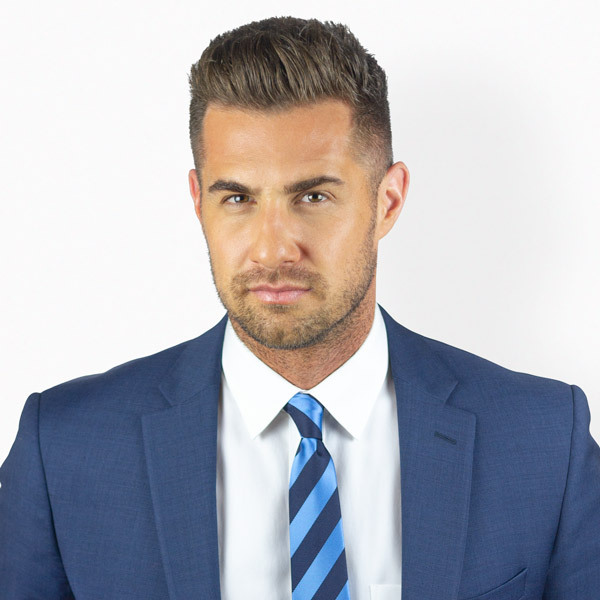 Sean is a straight shooter and extremely honest with his clients. I can highly recommend him to anyone seeking a truly professional Realtor. Sean is an excellent agent and very enjoyable to work with. Our purchase required a lot of creativity in order to come to fruition. Sean was always supportive when we came up with crazy ideas. I would recommend him to anyone looking to purchase or sell a home. Sean is so great to work with! He is helpful, responsive, and made the process so simple and easy for me. Working with him is a worry free experience; and I have full confidence in his abilities to negotiate and find me the best value for my wish list. I will be using him exclusively as my realtor for all my future investments. Sean was always very professional and a great realtor to work with in selling our home. We had multiple offers after our first open house and he made the selling process easy and painless. Very open communication and was a great liaison between us as the sellers and the buyers and their agent. Highly recommend Sean! Sean was absolutely amazing! As a single mom it was important to me to find a comfortable home in a safe neighborhood. From start to finish Sean was friendly, optimistic, quick to respond and worked hard. He made sure to ask and understand exactly what I was looking for in a home. He was patient with me throughout the process of our search and when I found the one my heart was set on he did everything he could to make it happen. My kids and I couldn't be happier. For the first time they get to live in a house with a backyard instead of an apartment. I am forever grateful for all Sean has done to help make this happen and for his kindness, encouragement and hard work. I would recommend him to anyone and everyone! Sean is AMAZING! Sean took the time to visit homes for me, and would FaceTime me in to view it with him, making sure to show me the surrounding neighborhood, and even talk to some potential neighbors too! No matter the hour, Sean always promptly, calmly, and professionally responded to/answered all of my erratic phone calls, texts, and emails, leaving me feeling much more relaxed and reassured (and excited even) about the "big move." And when I recently flew out to my new, still empty home to meet my moving truck, Sean made sure that temporary bedding and household essentials were there for me to use. He's simply just kind, thoughtful, and generous, and goes above and beyond what is asked of your typical realtor. Look no further, Sean is the one! Mr. Doersam was an absolute pleasure to work with. His energy, enthusiasm, positive attitude, and professionalism were the perfect combination for the expedient sale of my home. As a life-long Californian, Sean brought knowledge of the market, a seasoned team, and had a client base of potential buyers. In addition, Mr. Doersam communication skills were excellent. Phone calls, texts, and emails were immediately responded to. Lastly, Mr. Doersam is a quality individual. He is honest, trust worthy, and dependable. I was very fortunate to have the privilege to work with him. A Selection of Sean's Recent Sales.